The SolarEdge MPPT grid-tie inverter system combines module level MPPT (Maximum Power Point Tracking), DC to DC power optimizers together with monitoring and high efficiency transformerless string inverters. The system provides design flexibility and scalability mitigating power losses due to shading issues and module mismatch. The SolarEdge system combines cost savings and efficiency. 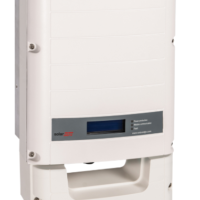 SolarEdge inverters can take 8 to 25 panels per string. Being transformerless, the inverters work at about 98% efficiency. 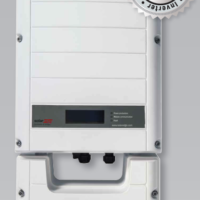 The single-phase SolarEdge inverters range from 3 kW to 11.4 kW in size and can also be used in parallel. An Ethernet cable can be plugged into the inverter and your router so no expensive monitoring electronics are needed and a built-in Safe DC system limits the DC voltage to 1 volt per panel when the inverter isn’t connected to the grid; this makes it easy to set up strings of panels. 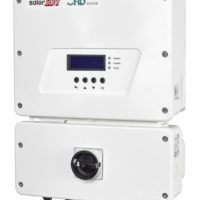 Also, now available are the new HD-Wave inverters from SolarEdge. These inverters have record-breaking efficiency (99% CEC) together with lighter weight, and lower cost. They are also designed to be used with the SolarEdge power optimizers. SolarEdge Power Optimizers are the cutting edge of solar technology. Optimizers perform the same function as a microinverters but they have fewer parts and are more durable. 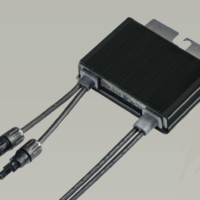 Using optimizers, each solar module can be viewed as a discreet thumbnail to see its output. Each panel is monitored for voltage and MPPT tracking which adds to the high efficiency of the optimizers. In addition, optimizers do not require the expensive cabling of a microinverter and use the normal DC cables to connect the panels to the inverter. Each optimizer digitizes its information which is sent down the DC cables with electricity. The optimizers work at a high voltage so the system ends up being more efficient than a regular high voltage, grid intertie inverter system.